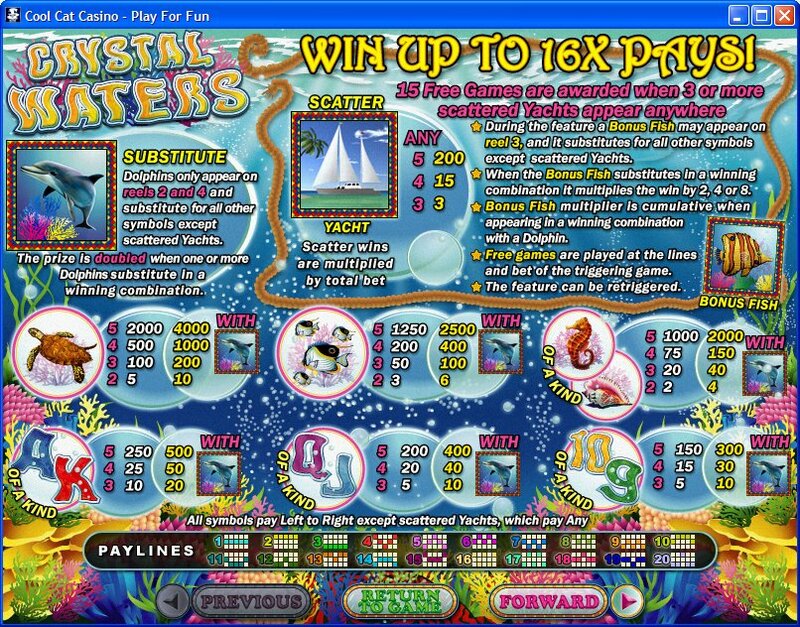 Overview: The Crystal Waters online slot is another beautiful compilation of Real Time Gaming online slots that introduces the theme of crystal clear sea water. The animations used are spectacular that puts forth all the creatures in the sea. 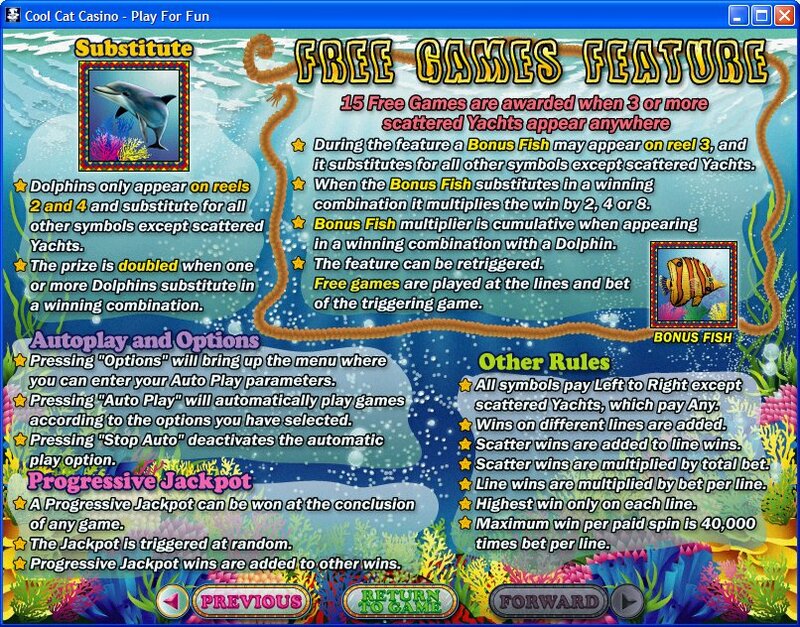 The dolphins, yachts and sea-turtles bring alive sea life on your screens. The sea-turtle is the high rewarding symbol in the game. But if you are able to spin five images of sea turtles along with an icon of dolphin then you can take away the biggest reward of 4,000 times in the game. 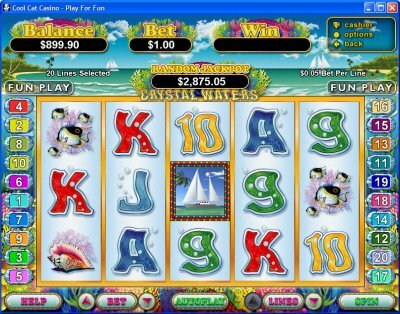 Find sunken treasures as you sail through the tranquil waters of this ocean themed slot game! Find your fortune under the sea when you dive into Crystal Waters. This exciting 5 reel, 20 line slot game offers players the chance to play for as little as one cent or as much as one hundred dollars. Be sure to have your first mate on watch for the elusive dolphin wild card symbol as well as the yacht scatter symbol. If you are lucky enough to spot a dolphin in a winning combination then you win double your bet. Similar Slots: If you like Crystal Waters, you might like these other slot machines from RTG: Basketbull, Big Shot, Caesar's Empire, Coyote Cash, High Fashion, London Inspector.